Study Medical Photos: A sexually active 24-year-old woman presents to your office complaining of vaginal discharge. Discussion" Yeast vaginitis causes approximately one-third of all vaginal infections. immune deficiency, or corticosteroid use. 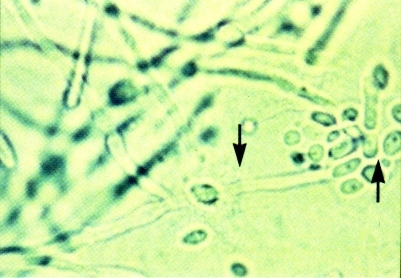 Diagnosis is made by examination of a vaginal smear under high-power microscopy after potassium hydroxide has been added. Budding yeast and pseudohyphae are noted. Topical antifungals are effective, as are single-dose oral antifungals.